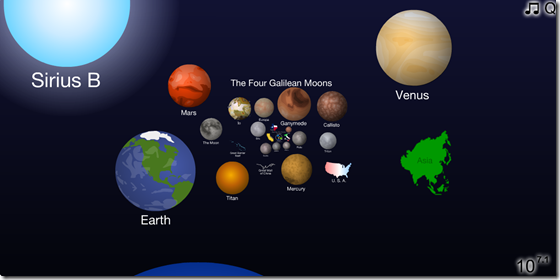 Cary and Michael Huang have updated their zoomable scale of everything (first seen in 2010). The graphics are nicer and smoother, they’ve replaced the annotations with a scale in the corner, and everything can be clicked on for popup detail. Thankfully, they also now let you turn off the dreadful music. Thanks to Shrub for sending me the link! BTW you could do a similar scale for computer knowledge and need od cleanness.